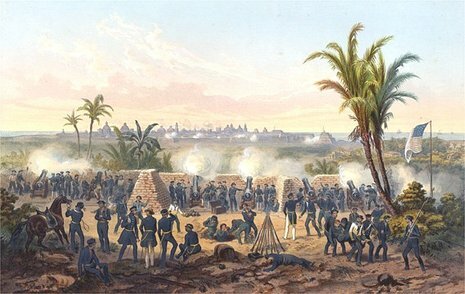 The Battle of the Natividad took place on November 16, 1846, during the Mexican-American War. 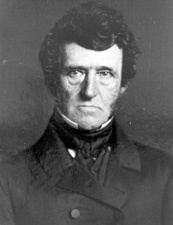 San Juan Bautista was the marshaling area for Lieutenant Colonel John C. Frémont’s forces of about 450 men of the California Battalion en route to joining up with Commodore Robert Stockton's and General Stephen W. Kearny's forces (about 500 men) converging on Los Angeles, California to put down a sputtering revolt there. An American scouting party was attacked by a force of mounted Mexican Californios on the Rancho Natividad in the Salinas Valley. The Californios were attempting to capture some horses being herded by the Americans. A battle ensued in which the Californio force killed four Americans and wounded more. The American volunteers were buried on the Gomez Rancho. The Californios reported no dead and 5 wounded. The Americans reported several Californios dead and several wounded. As the Californios retreated the Americans did not give chase. The Walla Walla and Delaware Indian detachment fighting with the Americans fought aggressively and bravely displaying two scalps they had taken during the conflict.